(Bloomberg) -- Even as the U.S. and China near a deal on trade, the Trump administration is becoming increasingly assertive in challenging Beijing on its geopolitical red lines. Since Sunday alone, the U.S. has sailed a warship through the Taiwan Strait, released a report criticizing travel restrictions in Tibet and hosted Uighur exiles at the State Department. 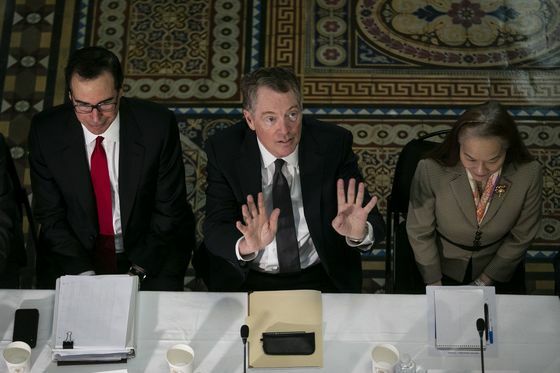 The moves -- all of them defying China’s warnings against meddling in what it views as its internal affairs -- came ahead the arrival of Treasury Secretary Steven Mnuchin and Trade Representative Robert Lighthizer in Beijing for trade talks. All three visits by U.S. trade delegations since President Donald Trump and Chinese counterpart Xi Jinping declared their Dec. 1 tariff truce have been presaged by U.S. naval patrols through territory claimed by Beijing. While it’s unclear whether the operations were intended as a signal during talks, the administration appears willing to test the Communist Party’s bottom line while seeking commercial concessions. The moves underscore a growing strategic rivalry that many observers expect to outlast any China-U.S. trade deal. Trump administration officials have given tacit approval to Taiwan’s request for its first purchase of new fighter jets in almost 30 years, people familiar with the matter said last week, and the U.S. has been pressing allies to stop using telecommunications equipment made by Chinese firms such as Huawei Technologies Co. over spying risks. The White House and State Department didn’t immediately respond to requests for comment. So far, the Chinese side has kept its policy of “strategic composure” toward Trump, protesting each move without linking the security disputes to trade talks. Xi warned in January that a host of domestic political and economic concerns pose a serious danger to the party’s rule, giving him a strong incentive to end the trade war as quickly as possible. Wang Dong, secretary-general of the Pangoal Institution, a Beijing-based research group, said the American moves evoked the “gunboat diplomacy” of the 19th century, when the U.S. and other Western powers used their naval might to force open Asian markets. Few issues irk China more than U.S. military support for Taiwan, which Beijing considers a province and reserves the right to take by force. The democratically run island has found a receptive audience inside Trump’s White House, with some officials advocating sending more warships through the Taiwan Strait, one current and one former administration official told Bloomberg in October. “Any words or actions that undermine the one-China policy are tantamount to shaking the foundation of China-U.S. relations, are inconsistent with the fundamental interests of China and the United States, and are also extremely dangerous,” Senior Colonel Wu Qian said at a briefing in Beijing. 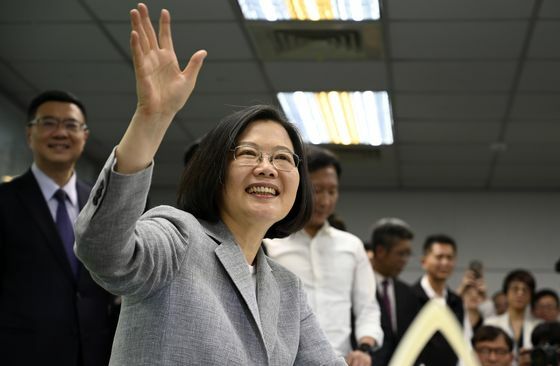 Although Trump has avoided overtly recognizing Taiwan since his pre-inauguration phone call with the island’s president, Tsai Ing-wen, he has signed legislation calling for more diplomatic and military exchanges with the island. Tsai, who hails from a pro-independence party, also made what China considers to be a provocative transit stop in Hawaii on Wednesday, while en route to visit some of her dwindling diplomatic partners in the Pacific. The U.S. has complicated Beijing’s efforts to consolidate control on its frontiers, dispatching warships to challenge Chinese claims in the disputed South China Sea. U.S. Secretary of State Michael Pompeo has also criticized China’s “abhorrent” detention of as many as 1 million Uighur Muslims in the country’s far west, and met with a group of exiles in Washington on Tuesday. Keeping such frictions from interfering with trade talks could become more difficult as negotiations drag on and the U.S. pushes harder on sensitive fronts. And Xi can only tolerate so much as he tries to protect his image as a strong leader capable of completing China’s return to global influence after a “century of humiliation” at the hands of imperial powers.